Come breathe, flow and stretch in our prenatal yoga classes. Build up a sweat as you strengthen your body. Enjoy a stretch as you create space and find release. Find some relaxation through meditation and breathing. Pregnant women in all stages of pregnancy are welcomed. No previous yoga experience is required. We have everything you need beautiful mama. Mats, blankets, bolsters, blocks for your practice plus complimentary organic DAVIDs Tea and lemon water. You don't need to bring anything with you. When you arrive you will find a mat set out for you. Please make sure to register in advance to save yourself a spot. Space is limited. Each prenatal yoga class is 60 minutes long and is open to any mama regardless of stage of pregnancy or yoga experience. Some mamas to be join us as early as 4 weeks pregnant, some mamas to be join us well into their third trimester. 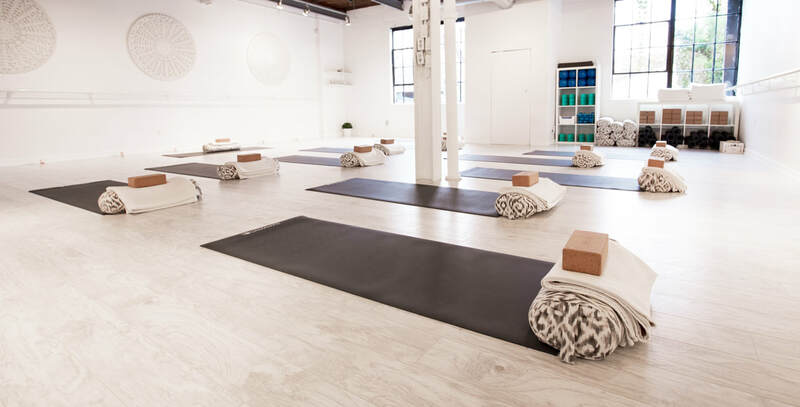 Our prenatal yoga classes are the perfect place to slow down your mind, connect to breath, connect with your pregnancy, and connect with other mamas along the same journey. We have countless stories of mamas who have in our prenatal yoga classes who have gone on to become best friends. Prenatal yoga creates awareness of your own mind, body, breathe and the spirit of your baby. Because of this, prenatal yoga is ideal preparation for the birth of your baby. Many mamas take movement, meditation and breathing exercises they have practiced in prenatal yoga classes into their labour and delivery. Yoga in pregnancy comes with many health benefits such as strengthening pelvic muscles, improving circulation, aiding in digestion, relieving fatigue and tension and revitalizing energy. Yoga can also alleviate many of the common discomforts of pregnancy such as nausea, constipation, varicose veins, swelling, back pain and sciatica. ​We offer 12 Prenatal Yoga classes a week! Please make sure to register online to see the most recent schedule. You can begin at any point during your pregnancy. If you have concerns please consult with your physician. We have complimentary yoga mats you can use. Breathing practice during pregnancy opens the chest and helps to improve circulation in both mother and baby, ensuring a better supply of oxygen to the blood. It also calms the nerves and gives the mother greater control of her breathing during labour. Mamas are welcome to have their partners practice yoga alongside them in any of our prenatal classes. Please have your partner register a spot. Please note class packages are not transferable or shareable.